The countries of Asia have created many fun and action-packed gambling movies, from 1989’s God of Gamblers to its most recent sequel From Vegas to Macau II. Here are five movies you should definitely place your bets on, whether you’re a fan of poker night with your friends, online gambling at home or great movies in general. This Hong Kong action film has just the right amount of comedy and drama to make it an entertaining romp. Starring silver screen bigwig Chow Yun-fat, this film follows the antics of a world-renowned gambler as he travels, bets and ultimately loses his memory. Immensely popular, this movie has spawned a stunning six sequels and nine spin-offs. The same year as God of Gamblers came out, Casino Raiders also cashed in on the gambling trend in movies. 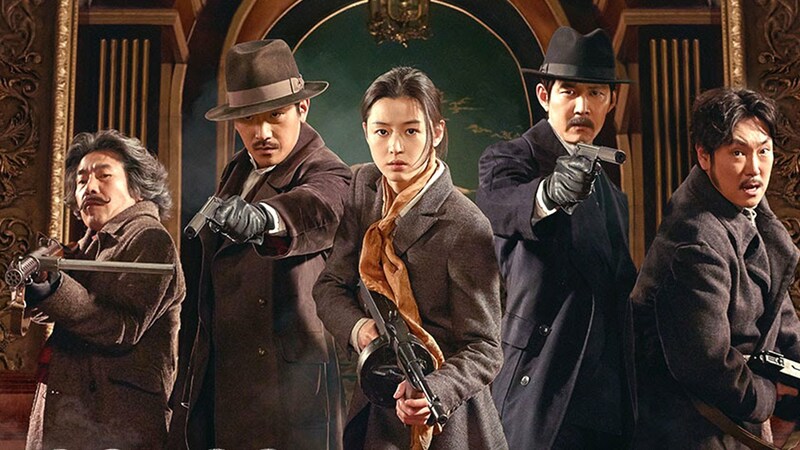 Another Hong Kong action drama, Casino Raiders tells the story of Crab Chan and Sam Law, professional gamblers who are also best friends. This movie is nowhere near as light as God of Gamblers, spinning a darker tale of the dangers of gambling and organized crime. With the trend of Hong Kong gambling movies still running strong, The Conman premiered in 1998 with a mix of comedy and action that pleased a range of viewers. Boasting a large cast of colorful characters, this film also garnered a Hong Kong Film Award nomination for supporting actor Nick Cheung. Nearly a decade after the allure of Asian gambling movies started to wear off, the film Tazza: The High Rollers made a name for itself. A South Korean gambling movie based on the manhwa (comic) “Tajja,” Tazza follows the story of a gambler-in-training seeking revenge for his family, who lost their entire life’s savings to followers of the habit. Fun fact: Tazza is one of South Korea’s highest grossing films to date. The world recently revisited the God of Gamblers series with From Vegas to Macau. This crime-comedy film stars many of the regulars, including Chow Yun-fat, and explores similar themes such as gambling, gangsters and family ties. It was quickly followed by the most recent sequel in the lineup, From Vegas to Macau II (2015). Hundreds of movies are released every years but only a few become successful. The recipe for a successful film is quite simple, a small budget plus massive ticket sales which leads to huge profits. According to data, the following movies are most successful in Asia. Moster Hunt is a Chinese fantasy action comedy directed by Raman Hui and starred by Jing Boran and Bai Baihe. It was released on 16th July, 2015 in in 3D. Upon its release, it broke numerous box office records including the most successful movie in Asia and has grossed a massive $382 million. This yet another successful Asian based movie. It is based on a fantasy novel whose story follows two tomb raiders as they try to revert a curse with the help of an American archeologist. The Ghouls has collected over $255,747,040. This is a comedy film packed with action. Its story is based on a middle aged man who takes his wife on vacation to Hon Kong but his brother tags along and they all fall into a series of mishaps. It was released on 25th Sep, 2015 and on 19th November in Hong Kong. Lost in Hong Kong has broken several box office records and grossed over $253,590,000. Veteran is a South Korean crime comedy movie directed and written by Ryoo Seung wan. It won the Casa Asia Awards at the Sitges Film Festival, has drawn over 13.4 admissions and grossed over $92,838,964. The assassin is a Hong Kong and China co-production. It was screened at the Cannes Film Festival on 27th August, 2015. The assassin was selected as the Taiwanese entry as the Best Foreign language Film during the 88th Academy Awards and has grossed a total of $88.5 million. This is a Taiwanese romance film directed by Frankie Chen. It was released in Macau and Hong Kong box office on 15th Oct, 2015 and later released in China on 19th November 2015. Our times is about a school girl who is in love with a popular boy but ends up being an errand girl for the school gangster. This movie has grossed over $81.5 million. Himalayas is a South Korean drama film about a touching story of a team that goes to the Himalays to find their lost friend. It was directed by Lee Seok hoon and released on 16th December, 2015. This movies has been a huge success grossing over $49,772,226. Lastly is hero, an Indian romantic action film that was directed by Nikhil and co written by Umesh Bist. It was a remake of Subbash Ghai’s which was directed in 1983 under the same name. Previously, the sustenance of America film Industry came from domestic ticket sales within US but today, overseas markets especially Asia have become profoundly important. This is due to the increasing growth of Asia’s middle class which has created a huge new entertainment market industry. For example, China was involved in building about 27 cinema screens daily surpassing the US which has a total of 40,475 screens. Also, the revenue from China’s box office is likely to surpass that of the United States making it the largest movie market in the world. Obviously, the film industry in US will want to reach the Asian customers but some Asian countries limit the number of foreign films that get in every year. Regardless, America film industry is busy adapting to the needs of Asian moviegoers. The entry of American film industry into Asian countries calls for a lot of vigilance as it can no longer afford to reinforce the old stereotypes if it wants to benefit financially from the international film market. Movie makers have to start considering other cultures, the things they value as well as how they view the world and include them into the storytelling. This may force the US film industry to go to extraordinary lengths. For example, when Red Dawn thriller was released, it featured Chinese villains which led to a lot of criticism in the Chinese media. This resulted to the removal of all villain scenes and they were replaced with North Koreans. Another consequence of conveying US values to the rest of the world is that certain American narratives may have to be omitted from the entertainment industry. This includes stories of African Americans as finding their audience in the international market has always been a struggle and other countries do not relate with their stories. Also, it will pose as a challenge to certain genres especially comedy. This is because most comedians do not translate the humour and it is likely not to play well in most parts of Asia. A major bonus of the growing Asian market is that it provides a big safety net for the American based movies that fail domestically. There are many examples of stumbling US box office but doing great in the Asian market such as the sci-fi war film Battleship, starring Rihanna and Liam Neeson which generated $65 million only in ticket sales in US but brought a whopping $187 million from Asia. The growing Asia market brings profitability to films that could have otherwise sunk if they relied on domestic box office only. Commercially, United States reliance on Asian market has been nothing but successful. Catering for the increased number of audiences may have its challenges but the international market is keeping the American film industry pulsating with life. Even with predictions that Asia may dominate the film industry in the coming years, American film industry still retains its dominance as the most robust exports in the world. The treasure hunter is an American drama film directed and co written by David Zellner. It stars are kanako Higashi, Nathan Zellner, David Zellner, hirley Venard, Nobuyuki Katsube and Rinko Kikuchi. The treasure hunter premiered on 20th January, 2014 at the Sundance Film Festival and later made its international premiere on 8th February, 2014 at the 64th Berlin International Film Festival. The main character in this film, Kumiko, a 29 year old office lady lives in absolute solitude in Tokyo. She has a dreadful job under a boss she distastes, is nagged by her overbearing mother to get married and is intimated by her peers. She only enjoys the company of her pet, Bunzo the rabbit and a VHS tape containing Fargo film which she found in a secluded cave in the shore. Komiko is convinced the film is based on a true story and becomes obsessed over a scene where the character played by Steve Buscemi hides a bag of ransom money along a snowy highway. She begins taking notes while watching the tape. She then goes ahead and attempts to steal an atlas at the local library but is unfortunately caught by the security guard who eventually pities and allows her to take the atlas. 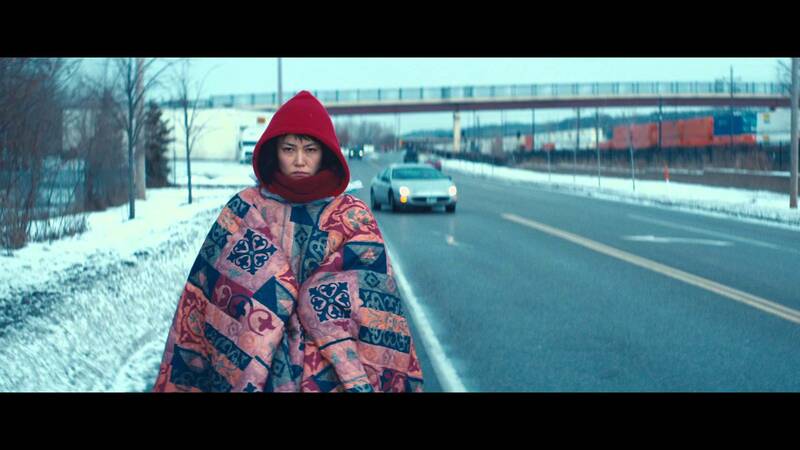 With the threat of a younger person taking over her and increased pressure from her mother to go back home, Kumiko abandons her pet rabbit and boards a place to Minneapolis using the company card. With the map, Kumiko begins the journey to find the alleged fortune. When she gets to Minneapolis, she is unprepared for the winter weather, can barely communicate in English and her boss cancels her card. Pressed for cash, she is picked by an old woman but she later sneaks out and continues with her search for the purported treasure. She is later picked by the sheriff deputy after passerby report her to be wandering through the streets. She explains the film to him but an attempt by the sheriff to explain to her that the film is fiction is futile due to language barrier. The officer takes her to a Chinese restaurant hoping to get someone who can translate. While at the restaurant, Kumiko calls her mother to ask for some money but the mother accuses of theft and continues to criticize her for being unmarried. This makes kumiko to break down. With the help of the office, Kumiko buys winter clothes and kisses the officer who explains that he is married and continues to tell her that the treasure does not exist. She runs to a taxi upset and asks to be driven towards Fargo. While there, she frees across the field and wonders through the frozen lake looking through the ice for the bag. From a distance she notices something that looks like a suitcase and is convinced that it is the treasure bag only to find a decayed oar. Kumiko continues to wander deeper into the forest and eventually sees the bag containing money. Ecstatic, she scream, I was right after all!’ She then meets with Bunzo, her pet rabbit, reunites with him and walks away proudly. This film has won numerous awards including the Best Female lead and Best director. Producer, Chris Ohlson has also received tremendous awards including the Spirit Award Piaget Producer award.